Discussing how happy she is in her new relationship with Sara Gilbert, Linda Perry inadvertently outed herself as a big, ol' homewrecker. 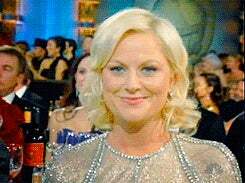 Responding to a question about possible wedding bells for the couple, she said: "I don't know. We gotta get through a year first. It's been eight months. We're going on nine." Firstly, just a year? Secondly, let's crack out the calculator and do a bit of Scooby-Doo sleuthing. 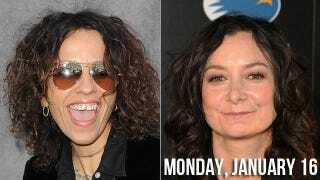 Your &apos;90s Girl Crushes Collide: Sara Gilbert & Linda Perry Are Dating!